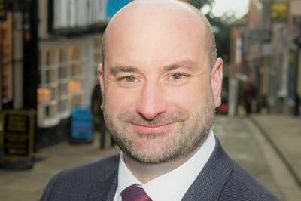 Shop fronts in Horncastle and Coningsby could be transformed thanks to a new funding scheme which launches next month. East Lindsey District Council agreed £120,000 of funding to the shop front scheme in its 2018/2019 budget and has now agreed the criteria for applications. Applicants will be able to bid for between £3,000 and £10,000 with the council paying up to 60% of total costs for the reinstatement of historic architectural details and historic features. It is hoped that the larger maximum grant amount will lead to more significant investment in premises. To be eligible to apply, applicants must be based in one of the following eight town centres: Horncastle, Coningsby Alford, Louth, Mablethorpe, Skegness, Spilsby or Sutton on Sea. Applications are restricted to independent premises only. Priority will also be given to installation of traditional shop fronts, in order to restore the character of a building. Portfolio Holder for Coastal Economy, Coun Steve Kirk, said: “I’m delighted to see the council approve the new criteria for the Shop Front Grant Scheme. ELDC has previously run two shop front grant schemes - the most recent of which awarded over £45,000 to 24 applicants across the district.